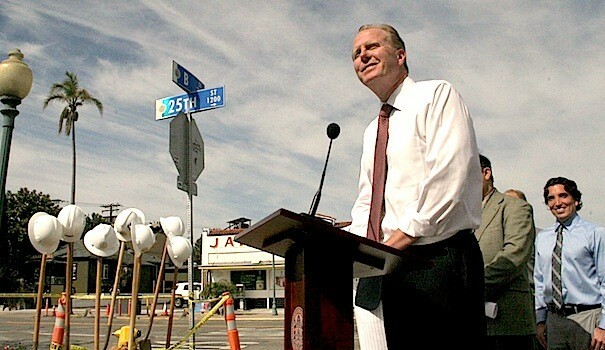 Mayor Kevin Faulconer and Council President Todd Gloria attended the official groundbreaking for the long-awaited 25th Street Renaissance Project in Golden Hill on April 8. 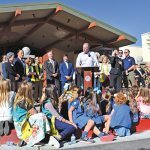 The $1.7-million street improvement project — developed over the course of the last 10 years — is among the first of several projects that Faulconer said demonstrate his commitment to rebuilding the city slowly but surely. 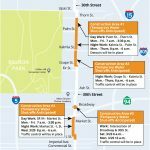 The project will provide traffic-calming improvements to increase pedestrian safety, reverse-angled parking that require drivers to back into parking spots, and streetscape improvements to enhance the aesthetics of the corridor from Interstate 94 to Russ Boulevard, adjacent to Balboa Park. 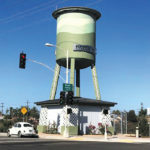 The project simultaneously includes replacement of an existing 16-inch cast-iron water main, which Faulconer said consolidates efforts and minimizes impacts to the neighborhood by doing all of the work at once. Marnel Gibson, interim assistant director for the City’s public works department told the small crowd for the occasion that bundling the two projects worked out great because the old pipe needed to be replaced. 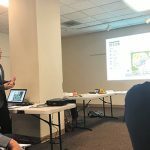 Gloria — whose council district includes the project area — pointed out that as a main thoroughfare for the neighborhood and a gateway to Balboa Park, the 25th Street corridor is an important part of the community and should be a landmark promenade. 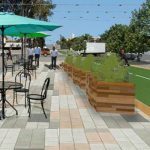 “It’s also home to many small businesses and reverse-angle parking is going to make this more bike friendly and pedestrian friendly and invite more investment to the small and local businesses on the street,” Gloria said. The improvements are funded by TransNet and a Federal Smart Growth Grant. The water main replacement is being funded separately through Enterprise Funds paid for by fees and charges to users. 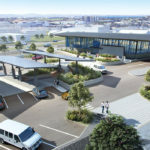 The entire upgrade is expected to take up to seven months to complete.